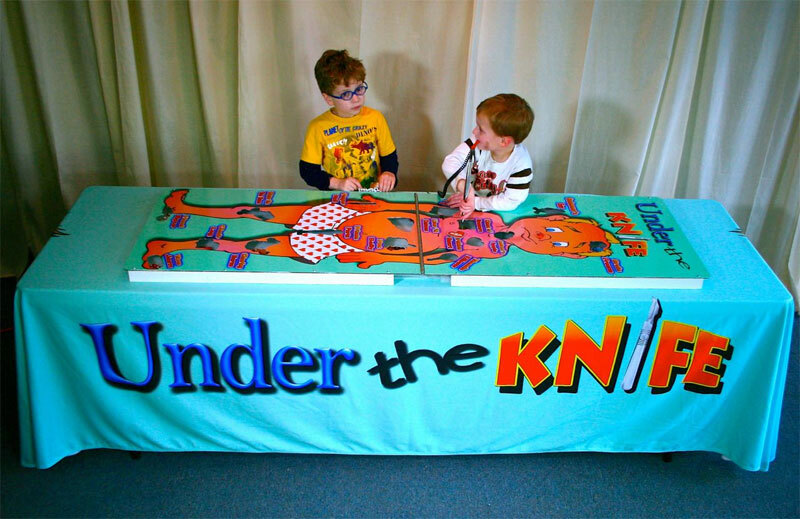 Under the Knife Under the Knife game is great fun for all ages! This over-sized board game is colorful, fun, and an instant classic. Players use the huge tweezers to extract fun parts from the nervous patient. If either the tweezers or the game piece touches the game board Uh-Oh! The patient's nose lights up and funny sound effects are triggered. It folds in half and stores in the included heavy-duty vinyl carrying case. 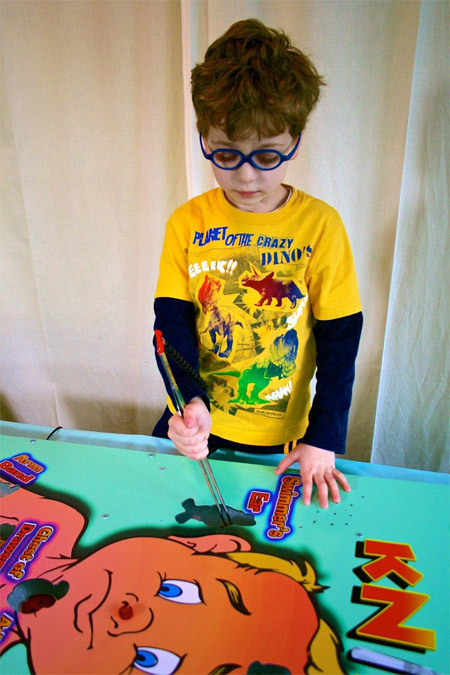 It can go anywhere and this surgical game becomes the life of any party or event!